Learn why you should focus on your Toddler’s Balance and Posture, and get powerful activities that could help prevent a lifetime of muscular agony. Balancing isn’t as easy as it looks! Let us walk you through the information and milestones you need to know for your child’s development. Congratulations! (Or perhaps condolences?) Your baby has found his or her way onto their feet and is starting to get the hang of this walking thing! But this is only half the battle, a lot of their successful mobility will hinge on their budding balance and coordination. Balancing is a complex process that engages a large number of muscles all over our body and it requires a lot of fine tuning to get right. We at ADAM & Mila want to provide parents like you with a comprehensive source of the best information and activities to help you navigate the fun and confusing stages of your child’s development. We believe understanding the milestones your child achieves throughout their learning will better prepare you to support them. What feels natural to us is actually a complex process where large groups of muscles work in harmony to maintain postural control. It dictates our ability to do almost everything, from sitting and standing to walking and kicking a ball. Balancing will be the foundation for your child’s athletic skills as well as many other important abilities, but your child will also be building a foundation for balance from the time they are very young. Your baby’s physical development, which includes things like bone and muscle growth, has been growing since birth. This will help your child’s body prepare to balance while doing things like standing, running, jumping and sitting. You may have been aiding this without really thinking about it. For example, every single time you laid your little one out for tummy time, you were helping them develop muscle tone and core strength. Also, you took care of your child’s bone health by feeding your baby breast milk or formula. Good balance will help your child complete tasks effectively without getting worn out, and it will further their proper physical development. Hand eye coordination, or the ability to use visual input to guide the hands, is another vital stepping stone towards learning balance. This guide has a lot of information on your child’s hand eye coordination, and how to help strengthen its development. Sensory processing is the ability to process sensory input from your eyes, ears, nose, skin, and even mouth to navigate the world around you. Without it, your child would be unable to respond to outside forces and maintain balance in different situations. All of the senses work in harmony to provide a better understanding of how to interact with the world, and if there are delays or disabilities with any one of them, it may cause delays in other skills like balancing. 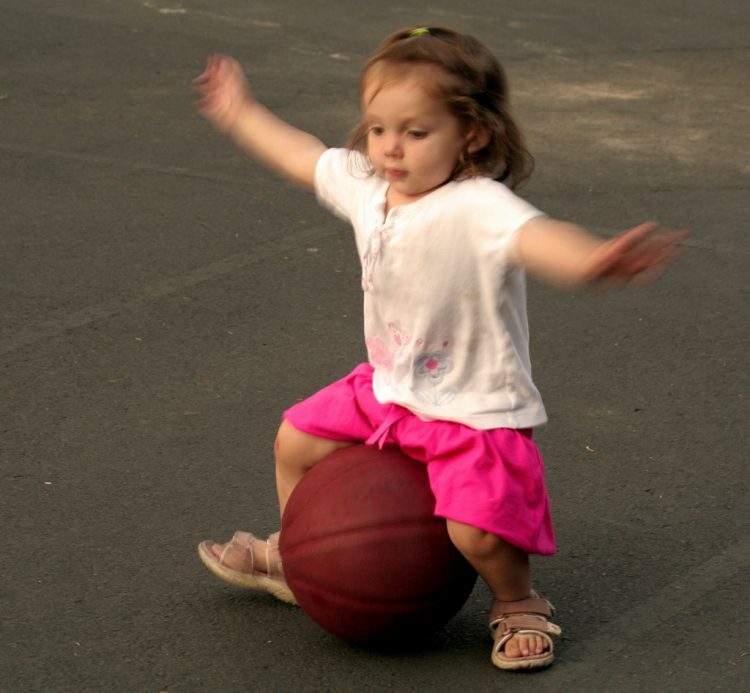 Your child’s motor development is a key factor in their balance. Gross motor skills are the skills required to control large muscle groups that move body parts like the trunk and the arms and legs. Gross motor skills are imperative to learning balance as these groups of muscles are the primary participants in controlling posture. Fine motor skills, which are used in activities like creative play, are affected by a child’s ability to balance, and will suffer in response to poor balance and coordination. How Do We Bring These Things Together? There are many training exercises you can do to help your child develop the skills and strength they need for good balance, but we recommend two in particular- Superman and Silly Bug. Now these aren’t so much activities as they are positions, but being able to maintain these positions for as long or longer than an adult is a sign of good motor planning, physical strength, and mental acuity. Superman is a position a child assumes while on their stomach. As the name might imply, the child will lift their arms and legs straight off the ground and extend them. The Silly Bug position is achieved on the child’s back. The child will lift their head off the ground and bend their knees, then flex their legs and lift their head somewhat like doing a crunch. Read this article for more information on these positions and how long you should expect your child to be able to hold them. 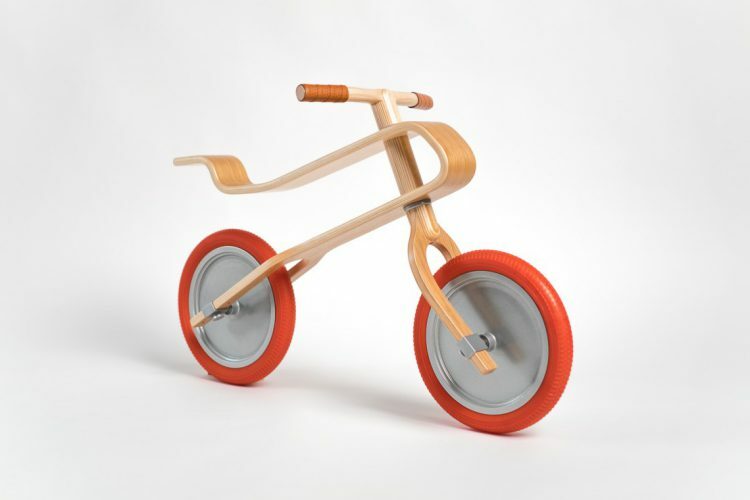 If you’re looking for ways to build balance while you play, you might consider introducing toys like a balance bike, or a balance beam for toddlers which can often be found at a kid’s gym. A person’s posture is described as the alignment of their body parts in relation to one another as well as in relation to outside forces. Different postures are assumed for different tasks, and good posture allows us to do things with less effort and with fewer ill effects on our bodies. Poor posture by contrast can result in undue weight on the spine and body and influence a child’s physical development. Eventually, your child will develop postural reflexes which allow them to maintain postural stability, or prevent themselves from falling, without really thinking about it. Until then, it is believed that most of their learning and training for postural control takes place in their early years. Poor posture has many negative effects. It makes more concentrated tasks like playing with objects on a tabletop more difficult or altogether impossible. It can put more strain on the body while participating in simple tasks, eventually leading to injury. It can also negatively affect your child’s athletic skill, as well as precipitate self esteem problems if they struggle to keep up with their peers. Incorrect posture can even lead to incorrect growth. These are some of the reasons that it’s imperative to teach your child good posture and why even some adults still strive for better balance and posture through activities like yoga. 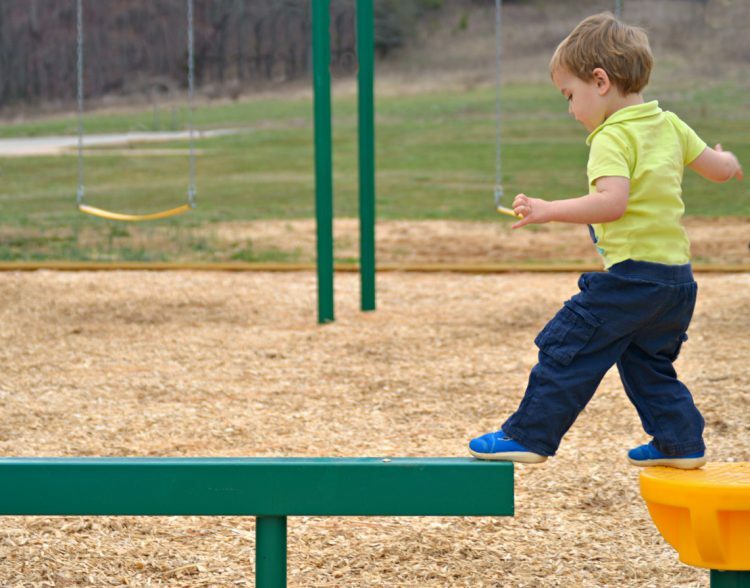 Your child could struggle with developing balance for a number of reasons, including some developmental disabilities. Clues that your child may be experiencing baby balance problems are if they are not meeting their milestones, tire more quickly from activities than other children their age, or avoid physical activity. For more signs of delay, consult this guide. If your child is experiencing developmental delay in regards to balance, occupational therapy or physical therapy can help. Parents are encouraged to talk to their pediatrician for expert advice if they notice concerning behavior or if their child struggles to make progress in their balance and coordination. For these milestones, it’s recommended that you use kids balance beams that are no more than 2 inches high for your child’s safety, as well as masking tape or strings that you can place as guides on the floor. Balance bikes for toddlers are additional tools that may be helpful for your little one’s progression, but they’re not necessary for observing these milestones. Development Milestone emerges from age 15 to 17 months. On a balance beam that is 8 inches across, your child should be able to walk at least three feet with your assistance. The balance beam should not be too far off the ground- only about an inch or two. If it is too high, fear may play a role in this milestone. Development Milestone emerges from age 17 to 20 months. Your child will be able to balance momentarily, without any assistance, while standing sideways on a thin, 2 inch balance beam. He or she will quickly step off afterwards. Development Milestone emerges from age 20 to 22 months. Your child should be able to take a few steps on a balance beam with one foot on the beam and the other on the ground, without requiring assistance. Development Milestone emerges from age 24 to 26 months. Make a line on the floor that extends at least 10 feet. You can use masking tape, string, or something similar. 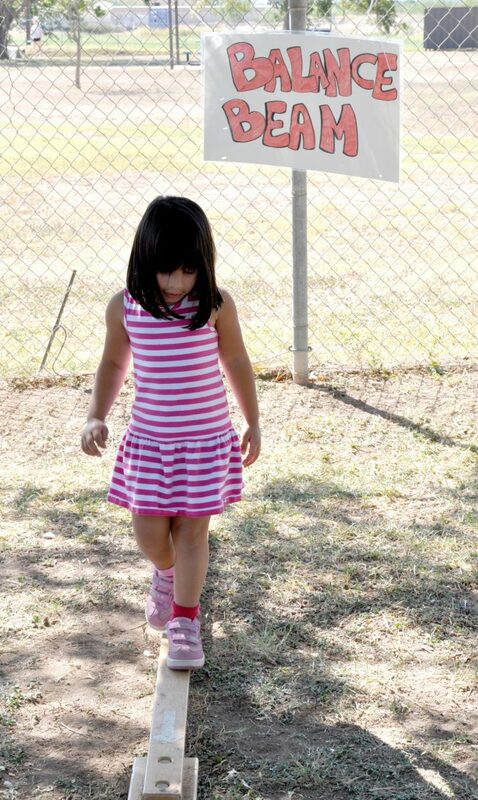 Your child should be able to walk the full length of the line, without assistance. Although he may not walk exactly on the line, he should be able to closely follow the line though not necessarily with both feet on it. Development Milestone emerges from age 24 to 30 months. Make two parallel lines on the floor 8 inches apart and at least 10 feet long. Your child should be able to walk between the two lines without stepping on either one of the lines for at least 10 feet. Your child may need to be told some instructions before. Your child will be able to independently step with both feet onto a 2 inch wide balance beam (both feet perpendicular to the beam) and balance there for at least 2 seconds before he puts one foot back onto the ground. Development Milestone emerges from age 27 to 29 months. Your child will try to walk the 2 inch balance beam without assistance, but will only get two steps before stepping off. It may be helpful to demonstrate this, stepping up onto a beam and taking a few steps. Then, allow your child to try this two or so times. Development Milestone emerges from age 30 to 32 months. Your child will be able to take at least 4 steps in a row, alternating feet, across a 2 inch wide balance beam without putting his or her feet on the ground. If your child attempts but puts his foot on the ground, applaud him and ask him to try again with both feet on the beam. Place a line on the floor as before (Walks Along Line). Your child should be able to take steps directly on the line with one foot in front of the other, without stepping off of the line, for at least 3 feet. This is an exciting time in your child’s life as they grow more independent and adventurous every day. It can also be a time of anxiety, as unsurety about your child’s development can be confusing and scary. You’re not alone though, and with the support of your pediatrician and parental communities both online and locally, you have more access to help than ever before. For an actionable guide to address concerns regarding developmental delays, click here. Your child is growing rapidly, and there are so many other developmental milestones to learn about! For more helpful information and positive parenting tips, check out our articles about gross motor skills and baby developmental milestones. We have many activity suggestions that can aid in your child’s development and make it a fun adventure for you both! We dearly hope that you found this article helpful. It’s our goal to make parenting easier and less stressful for parents around the world by providing the best information in easy-to-follow formats. Please feel free to leave feedback in the comments, and if you enjoyed this article, share it with a fellow parent! Yoga for Toddlers Toddlers are yoga-genius. Having fun with your kids doing yoga.